WEBINAR: Get GDPR-ready for the holiday season. SINCE 2015, all holiday rental properties in the Comunidad Valenciana must be fully licensed according to the rental licensing laws. The government is clamping down and issuing fines to owners of unlicensed properties that are rented out to holidaymakers, as well as advertising channels that market them. In order to obtain a licence, the rental property must meet the technical requirements and standards based on whether the property is categorised as Standard, Primary or Superior with features such as air conditioning, swimming pool, parking and internet access amongst the requirements for the Primary and Superior categories. The licensing law in Valencia, which differs from other regions in Spain, aims to regularise the holiday rental industry which has grown in popularity with both domestic and international tourists over the years. Holidaymakers can now expect their accommodation to meet a standard of quality, size and fittings as well as regulation safety measures such as a fitted smoke alarm, evacuation plan and emergency contact numbers. Spain-Holiday.com is the leading holiday rental website in Spain with nearly 3,000 holiday rental homes available on the Costa Blanca. 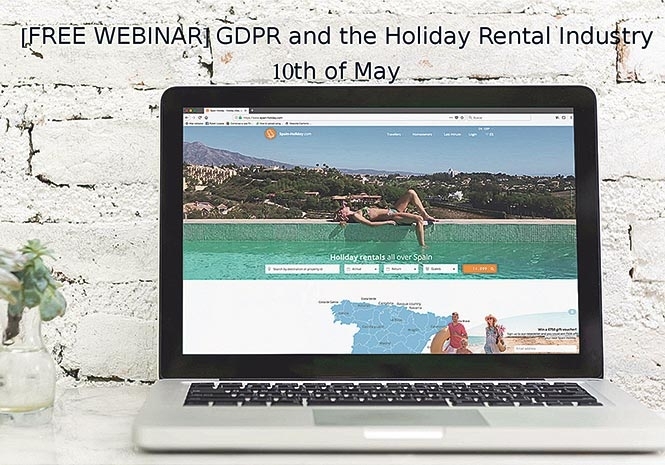 Earlier this year, Spain-Holiday.com made the decision to remove properties that had not obtained a licence with the Valencian government and now offers 100 per cent fully licensed properties in the Valencia region and the Costa Blanca as well as Cataluña. Jannich Petersen, CEO of Spain-Holiday.com explains the decision. Spain-Holiday.com offers support and help to its homeowners in order to obtain their holiday rental licence. All properties marketed on the website have passed stringent quality and security checks and must have a licence registration number which is displayed on the advert.